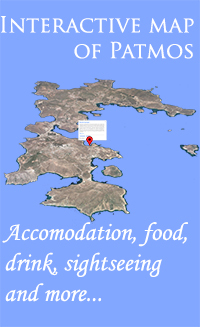 Is the new concept for the trading center of Patmos. 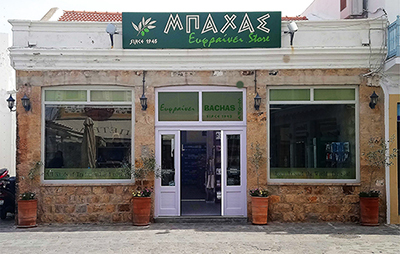 ALOE VERA. 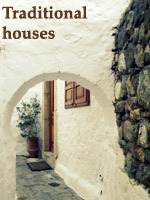 It is cultivated in Patmos. 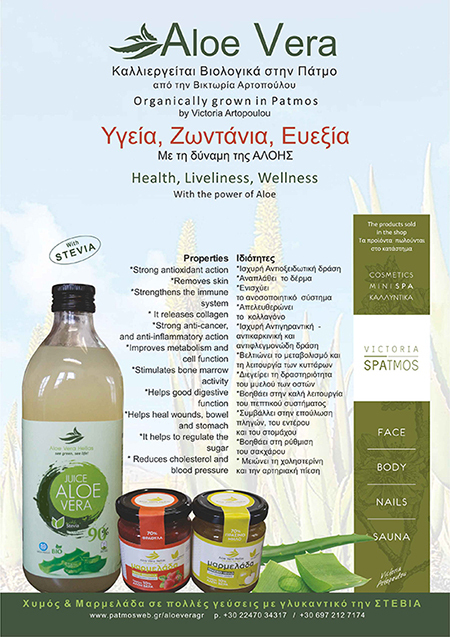 Amazing Aloe Vera products, are produced from the aloe plant that is organically grown in Patmos and offer health and energy wellness. 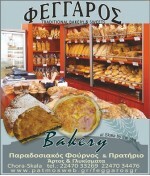 The famous bakery FEGGAROS located in Chora and Skala. 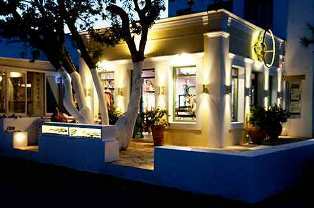 In Hora near St. lesbian Square and Skala harbor next to the Astoria. 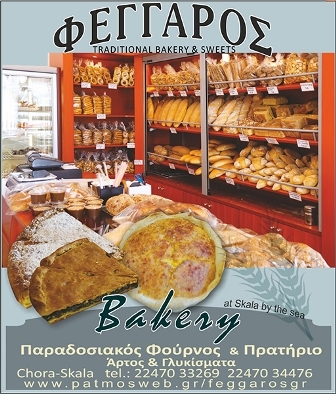 The Oven FEGGAROS manufactures the highest quality bread, a selection of traditional cakes, pies Patmos, cookies and many other baked products. 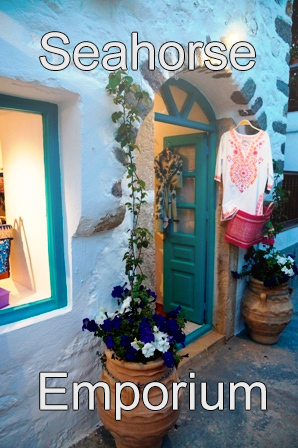 Fair Trade supporter, Katerina (Tina) Miaouli moved from Sydney, America and Europe to Patmos Island and set up the Seahorse Emporium. Passing on the philosophy and concept of worldwide trade, the Seahorse combines quality with simplicity, comfort and glamour: dressing women of all body types and sizes. 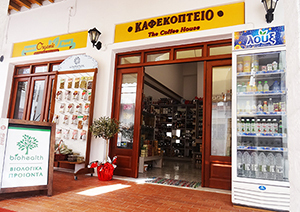 On the central square of Skala Patmos, moved the COFFEE HOUSE THE COFFEE HOUSE, Manolis Isixos coffee shop. Life and Joy. Beauty and health in good hands. The store LIFE AND JOY Annita’s Yoka has everything for a appearance cosmetic and health. Complete daily care and toning the skin with companies cosmetic MESSINIAN spa (with olive oil), BIOAROMA (with olive oil and herbs Crete) and GREENYARD (with olive oil). Jewels represent the desire for acquiring status overtime. Despite the time, the age and the fashion trends, jewels have an irreplaceable place in our hearts. 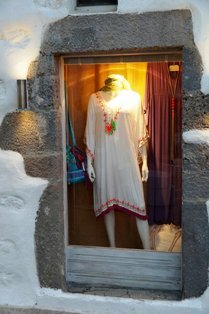 It's the new suggestion in clothing, accessories, jewelry. 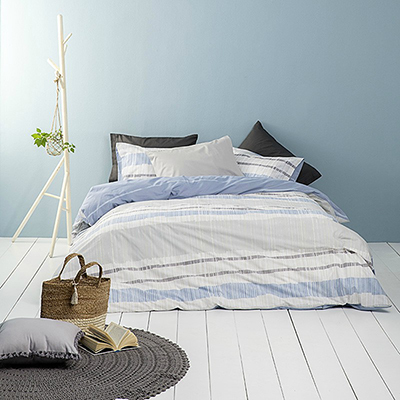 The best for your appearances!.